Question: How heavy should my backpack be? Here's an unsatisfying answer: It's different for everyone. There are a lot of recommendations out there for what weight your backpack should be. And if you've spent any time researching online, you might feel like you're still not sure how all that info translates to you specifically. Honestly, I don't know what's optimal for you either, but I do believe you're smart & savvy enough to figure it out. But first, let me offer an alternative to reframe the question. Instead of asking how heavy your backpack should be, what if you asked: What pack weight will make my experience easier and more enjoyable? Here are a few simple tests that might help provide some information to answer that question. Load up your pack with everything on your checklist (including food + water) and take it on a local hike. If you don't have time or access to do that, find some stairs and walk up and down 10+ flights of stairs and then around the block a few times. Notice how your pack feels on your hips and shoulders. Pay attention to how tiring or not it is to move around. This test will get you the closest to mimicking life on the trail. It'll be telling. Jump on a scale without your pack and note your weight, then jump on a scale with your fully loaded pack. 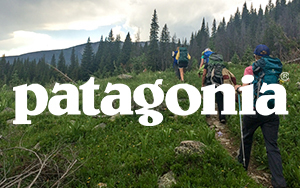 Find out how much your pack weighs. If you gasp at your sudden weight gain, go through your pack and examine every single item and its purpose. Remove everything that's extraneous. Load your pack and weigh it using test #2, or if you want to be more accurate, weigh each item by ounce and calculate the total. (That's what I do.) Then calculate what percentage of your body weight you'll be carrying. For example, my pack weight is about 19.4% (26 lbs) of my body weight (134 lbs), and I find that weight to be very reasonable to carry. I just made this one up and it cracks me up, but I think it's worth trying. Imagine you have an annoying blister on your ankle, your hips are feeling tight, the sun is beating down on you, you haven't been able to poo in two days, and you turn a corner only to see what seems to be a thousand switchbacks. "OMG, please God no!" With your current pack weight, would you be able to prance up the mountain or would you have to slowly trudge along in this scenario? It took me over two years, multiple trips, and some honest(ly embarrassing) feedback to figure out how to get my total pack weight down to 26 lbs. There was a ton of trial and error in this process. I encourage you to think of every backpacking experience as an opportunity to learn. Take note of what works and what doesn't on every trip, and implement those lessons learned the next time around. The lighter your pack, the easier and more enjoyable your experience. Remember, every ounce counts.